Every year we put on a number of Pre-professional dance programs featuring our amazing dancers from our preschool program right through to our Adult performers. This is an opportunity for dancers to experience the thrill of performing on stage and the excitement and magic of a full theatrical production. Our Dancers train for solo performances, duets and ensemble roles in productions like The Nutcracker, Swan Lake, Alice in Wonderland and more. We have a wonderful facility with a professional size stage available at the Evangel Church main theatre. 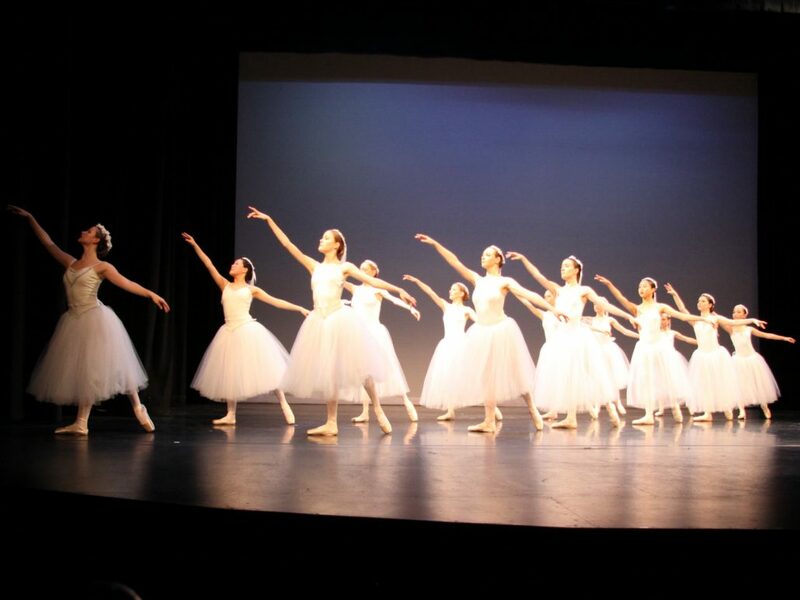 This is one of the largest stages in Kelowna and offers an exceptional performance environment for our young Dancers. Casting roles for performances will be strictly decided upon based on your child’s effort, suitability for the role technically, musically, style and expression ability. Because we will be charging you one base costume fee for the entire year (exception for those students selected for competition- costumes fees are an additional cost depending on how many dances are entered) the selection of your child for a role does not depend on price of costume but on the good results of their hard work and attendance in classes and rehearsals. There are many careers available in dance other than becoming a professional dancer. We do our best to work hand in hand with you the parent and your child to explore the world of dance and other associated career opportunities if this is what inspires and ultimately lights them up! We are here to advise and help in any way we can to guide you and your aspiring dancer, future dance teacher, or anything they may dream to be. We do care about your child’s present dance training but just as importantly also about their personal development and future – be it in dance or any other career of choice. We strive to inspire and motivate their self confidence through their training and performing opportunities. Every child that has the courage and confidence to step out on a stage in front of an audience gains an automatic sense of self awareness and confidence, not to mention the mental focus, self control, and hard work ethic learned which is needed to make that first step onto the stage in the first place. The Nutcracker is a two-act ballet, originally choreographed by Marius Petipa and Lev Ivanov with a score by Pyotr Ilyich Tchaikovsky. The ballet is adapted from E. T. A. Hoffmann’s story “The Nutcracker and the Mouse King” which is based on the original by Alexandre Dumas “The Nutcracker”. It was given its premiere at the Mariinsky Theatre in Saint Petersburg, Russia in 1892. Although the original production was not a commercial success the Ballet has grown to become a favourite around the world. 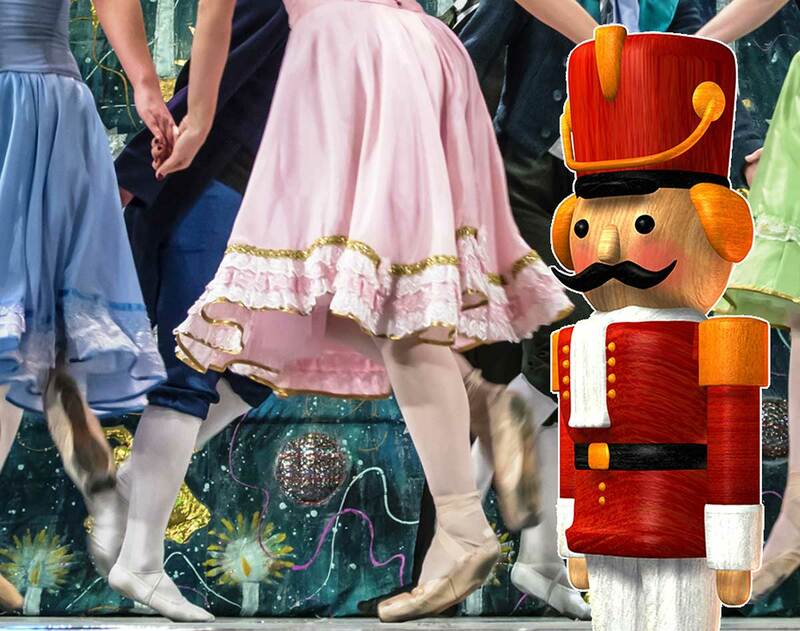 In North America The Nutcracker has enjoyed enormous popularity since the late 1960s and is now performed by countless ballet companies, primarily during the Christmas season. Part of the magic of The Nutcracker is Tchaikovsky’s amazing score which has become one of his most famous compositions. Everyone gets swept up in the beautiful music and wonder story of Clara and the nutcracker Prince. Alice’s Adventures in Wonderland is a ballet in three acts by Christopher Wheeldon with a scenario by Nicholas Wright. It was commissioned by The Royal Ballet, Covent Garden, and the National Ballet of Canada and had its world premiere on Monday, 28 February 2011. The music by Joby Talbot is the first full-length score for the Royal Ballet in 20 years. 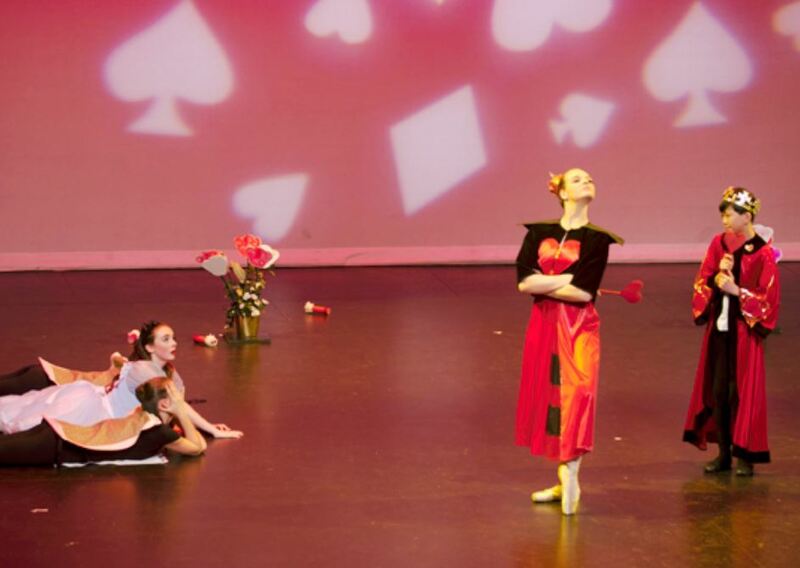 The work is based on Lewis Carroll’s well-known children’s story Alice’s Adventures in Wonderland. Wheeldon was attracted by the physicality of the characters and the perfect central role for a ballerina in Alice. The ballet is hugely popular with colourful costumes and sets. With so many memorable character and entertaining scenes it is a favourite with the young dancers and tremendous fun for the audience. Swan Lake is a Russian romantic ballet in four acts. The originally music was written in 1871 by the great Pyotr Tchaikovsky for his nieces and nephews. He used some of this music from the Ballet production of the Swan Lake in 1877. 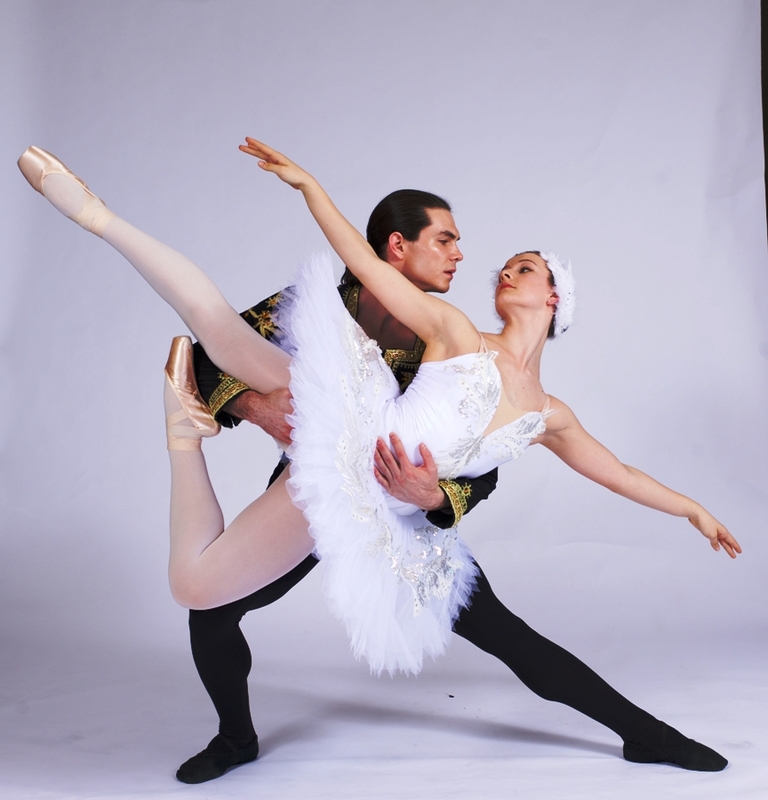 The story of the ballet is based on a German fairy tale about two swans and a prince. Prince Siegfried falls in love with the Swan princess, Odette. She is a swan by day, but a young woman at night. She is under a magic spell that can only be broken by a man who will make a promise to love her for all time. Siegfried makes the promise. He is tricked though by the magician who cast the spell. The ballet ends with the deaths of Siegfried and Odette. Giselle is a romantic ballet in two acts. It was first performed by the Ballet du Théâtre de l’Académie Royale de Musique in Paris, France in 1841. Giselle became hugely popular and was staged at once across Europe, Russia, and the United States. The traditional choreography that has been passed down to the present day derives primarily from the revivals staged by Marius Petipa during the late 19th and early 20th centuries for the Imperial Ballet in St. Petersburg. The ballet is about a peasant girl named Giselle, who dies of a broken heart after discovering her lover is betrothed to another. The Wilis, a group of supernatural women who dance men to death, summon Giselle from her grave. They target her lover for death, but Giselle’s great love frees him from their grasp. The Wilis are particularly haunting characters and very popular in Romantic era ballets. Led by Myrtha, the Queen of the Wilis, they gain their power in numbers as they effortlessly move through dramatic patterns and synchronized movements, and control the stage with their long tulle dresses and stoic expressions. Although still appearing ethereal, watching the Wilis sweep the stage creates an eerie mood that builds as the ballet continues and they enclose on Albrecht. They are ruthless and hateful of men because they have all died of a broken heart. 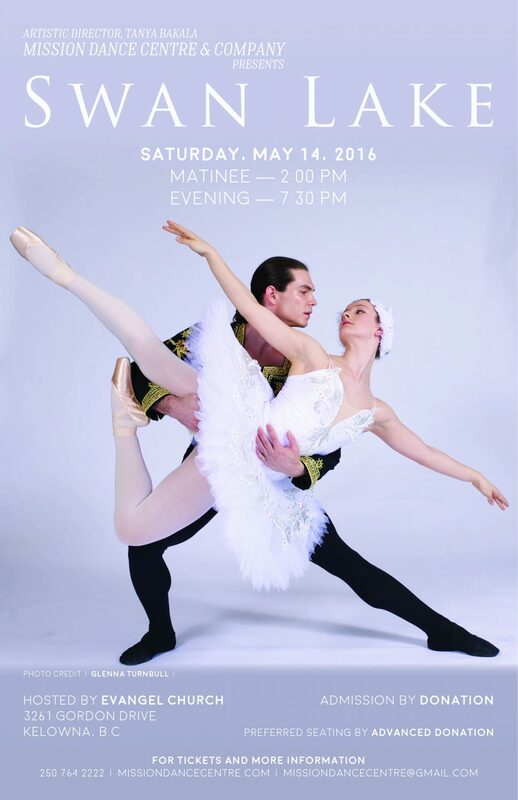 Exciting Dance performances, featuring several styles of dance! Post-performance reception and live band for your listening pleasure, or join in and dance the night away! The performance of Anna Jacyszyn Trio-Guitar and Double Bass, to perform at the After Show Reception Party for Mission Dance Centre in the Foyer of Evangel Church. Play time will be from 9:15pm-10pm. Mission Dance Center & Company offers a full range of preschool ballet classes to pre-professional and adult ballet classes from our studio in Kelowna’s mission. Our dancers have the opportunity to solo and understudy for many roles. We feel this creates an excellent learning environment as junior dancers get the chance to dance leads in matinee and rehearsal performances and learn performance skills from the senior dancers. Having the school in the same building as the theatre is very advantageous and helps in countless ways to enhance our performances. Many of our young ballet dancers have gone on to wonderful careers at national ballets. These includes the National Ballet of Canada, Royal Winnipeg Ballet, Ballet BC and Les Grands Ballet Canadiens de Montreal. We are delighted when past students return to guest appear in our Performances or help instruct our young pre-professional dancers here in Kelowna. Mission Dance is also active in the community and participates in many dance performances at seniors care facilities during the holiday season. 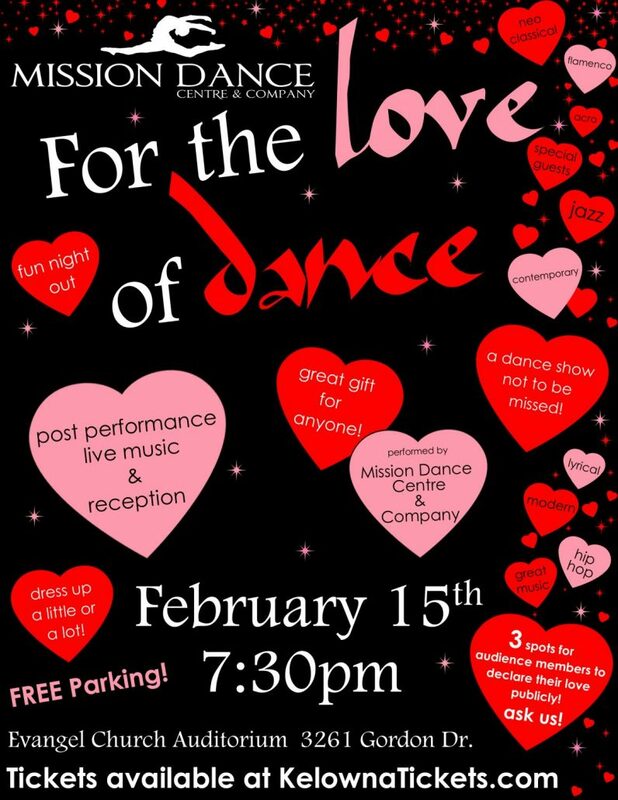 We also Dance at charity events for Autism Okanagan, the childrens Fat Cat Festival, Parks Alive and many more.